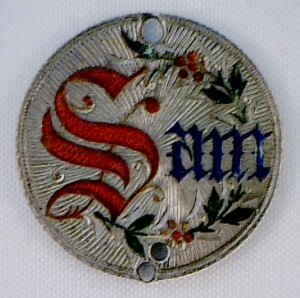 Enamel adds a pop of color to metal and like engraving is a bit of a dying art. 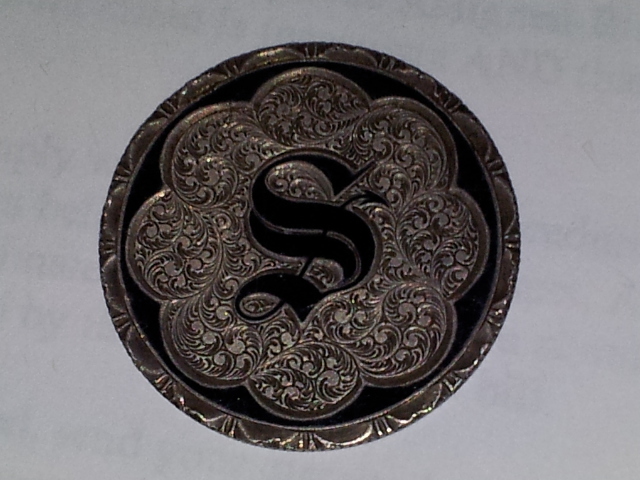 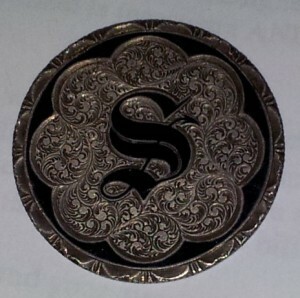 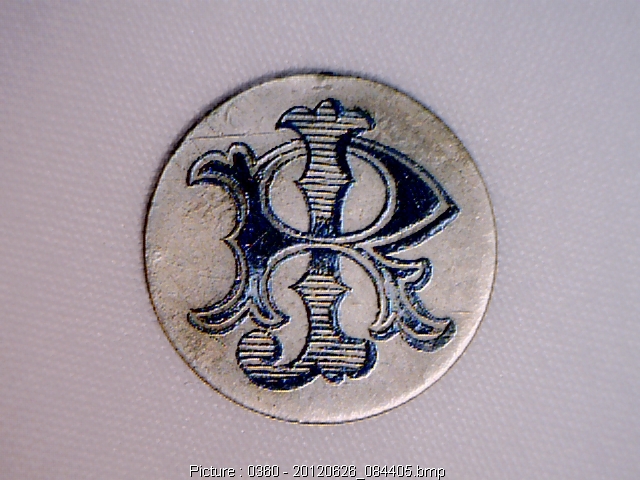 After the coins are smoothed flat, trenches are engraved deeper into the metal. Then they are filled with glass powder and heated to the melting point for glass. 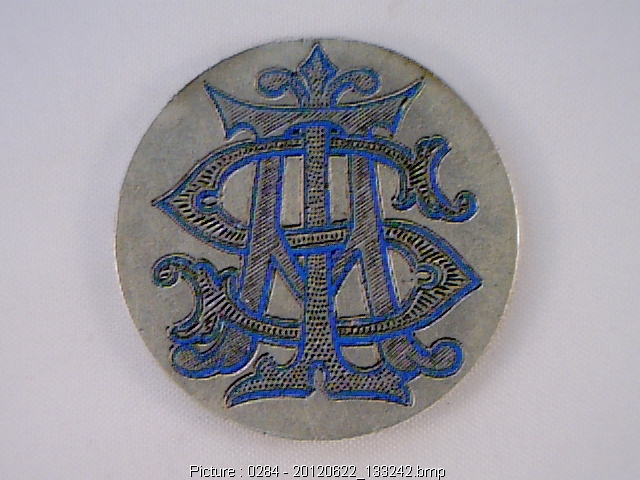 Several applications of glass powder must be applied until it reaches flush with the surface of the coin. 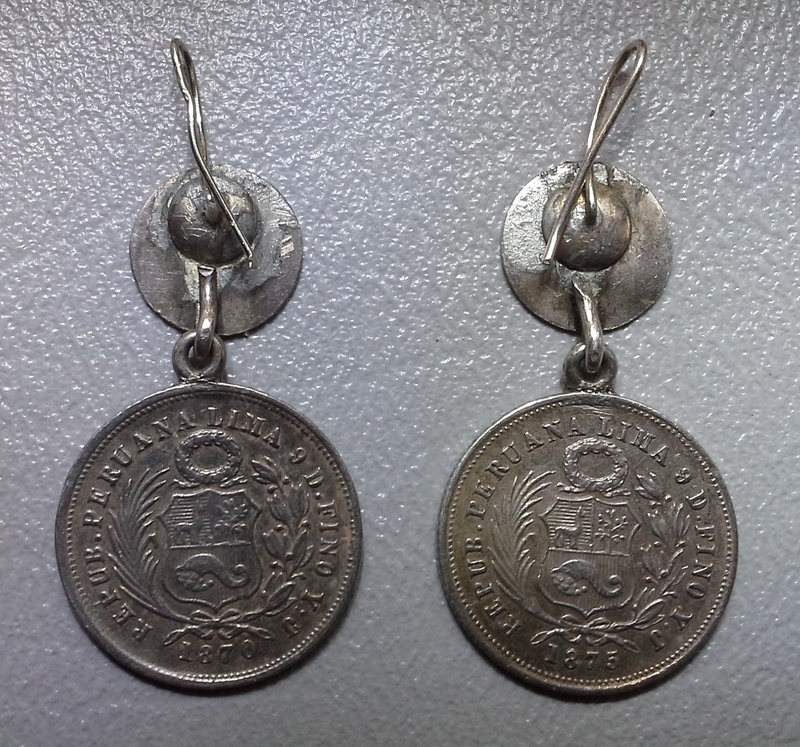 Through time some of these love tokens have sustained damage through being dropped or banged around in jewelry. 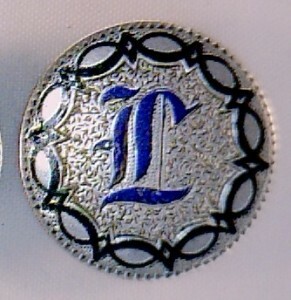 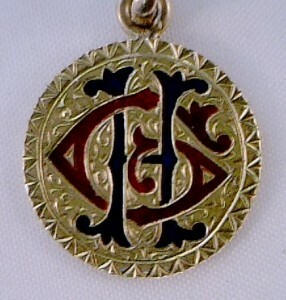 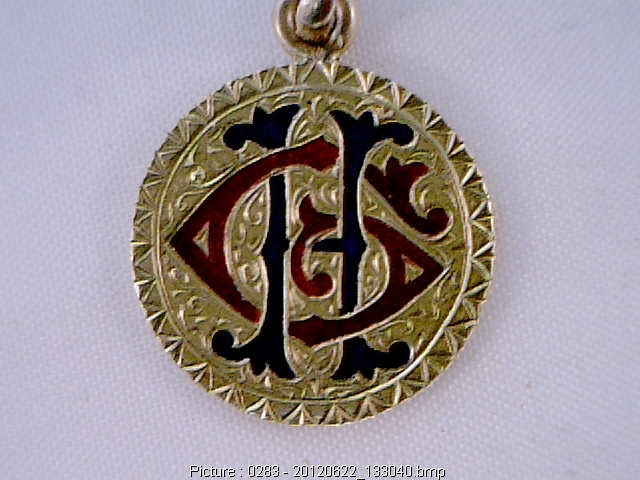 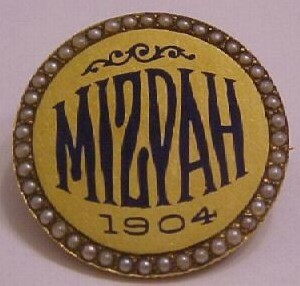 Small chips must be expected when collecting enameled love tokens. 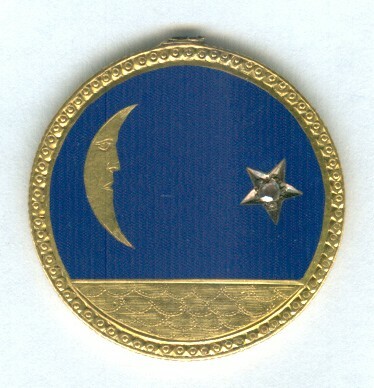 Blue enamel represented true love and often black enamel was used to represent mourning. Black also became fashionable as Queen Victoria continued to wear black for a lengthy extended period after losing her husband. 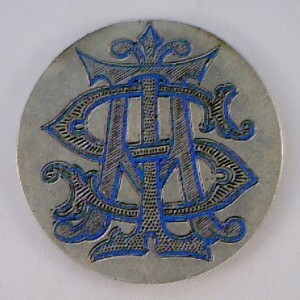 “HG” five dollar gold. 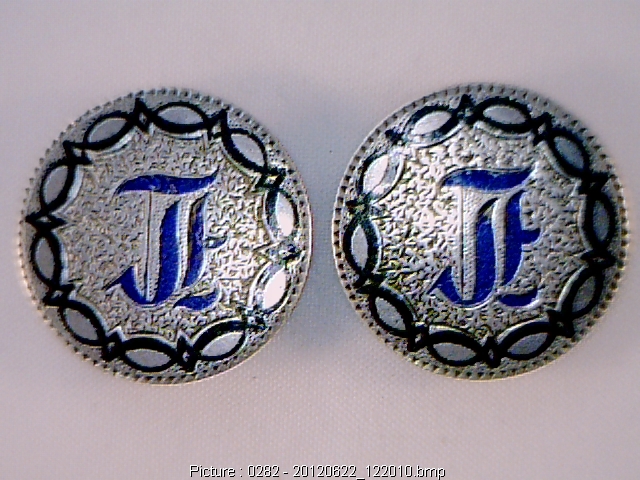 “JR” in black enamel. 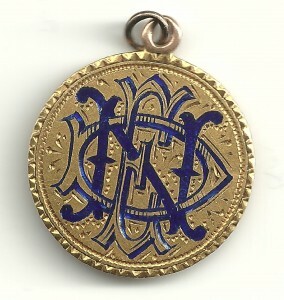 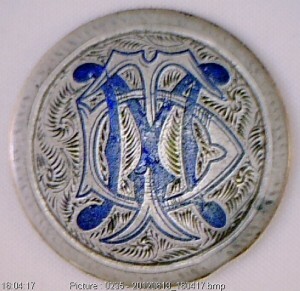 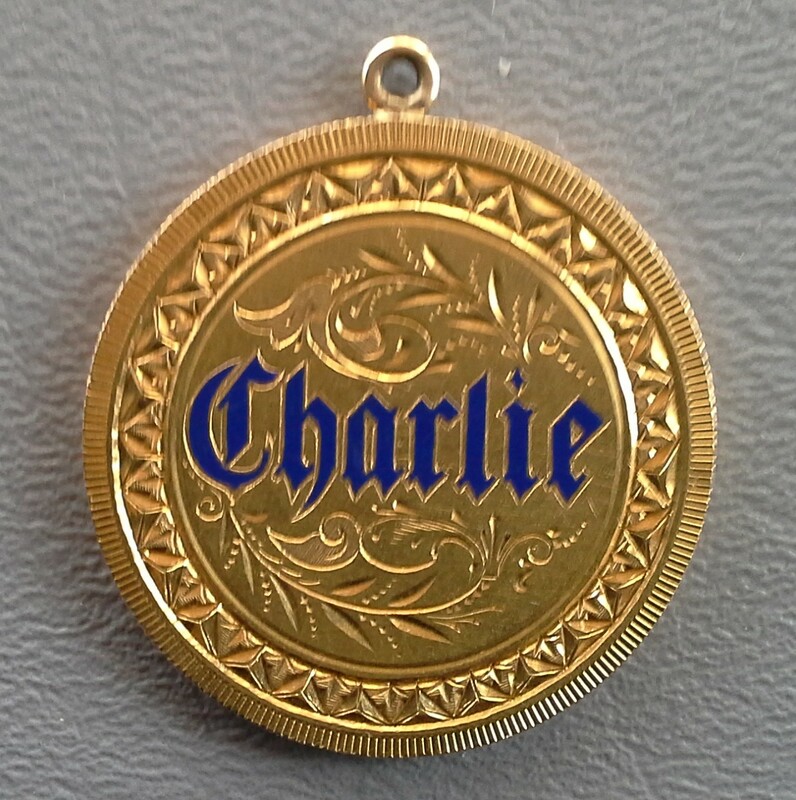 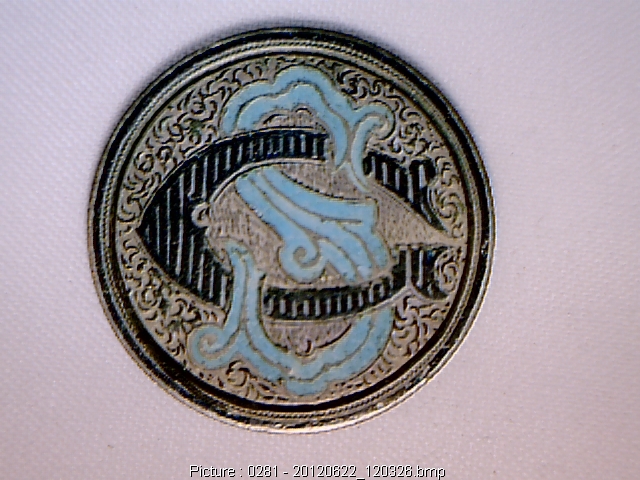 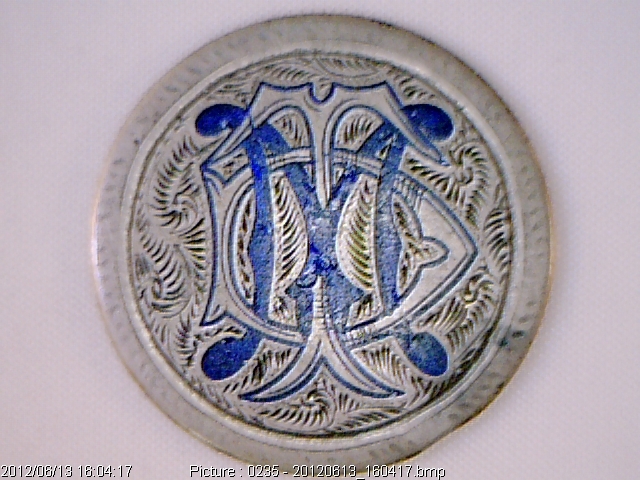 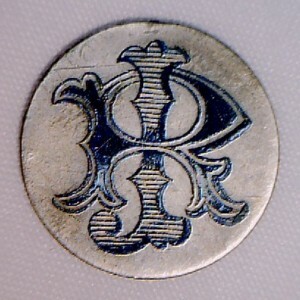 1872 half with blue enamel. 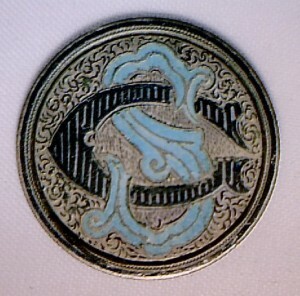 1855 half with black enamel. 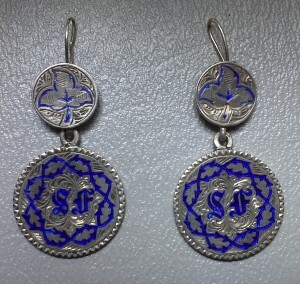 Blue enamel drop earrings. 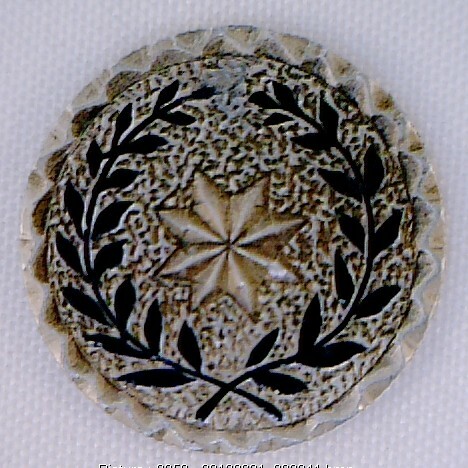 Leaf at top and thorn pattern boarder. Peruvian host coins. 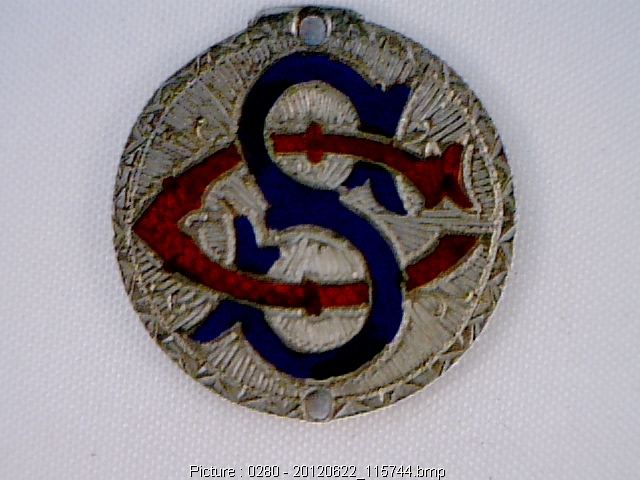 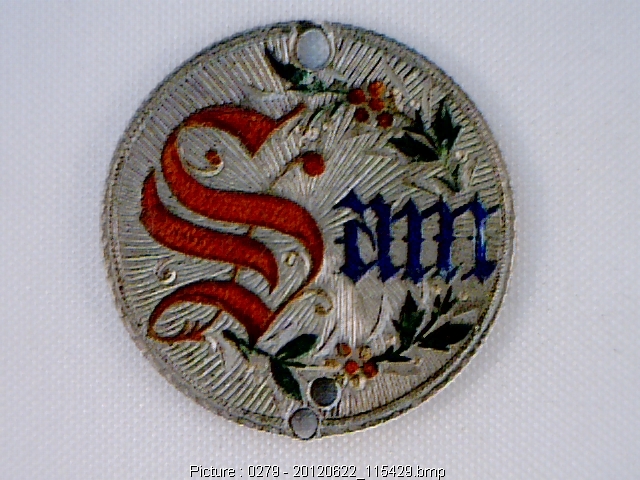 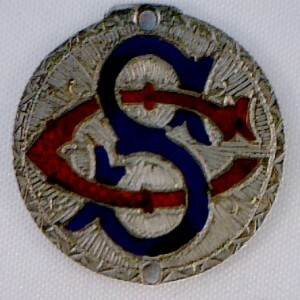 At left: Enamel/engraved obv. 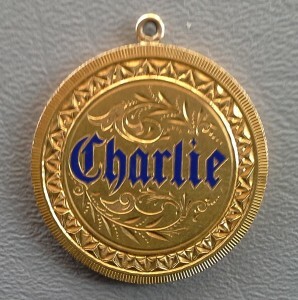 1880 $20 gold Liberty. 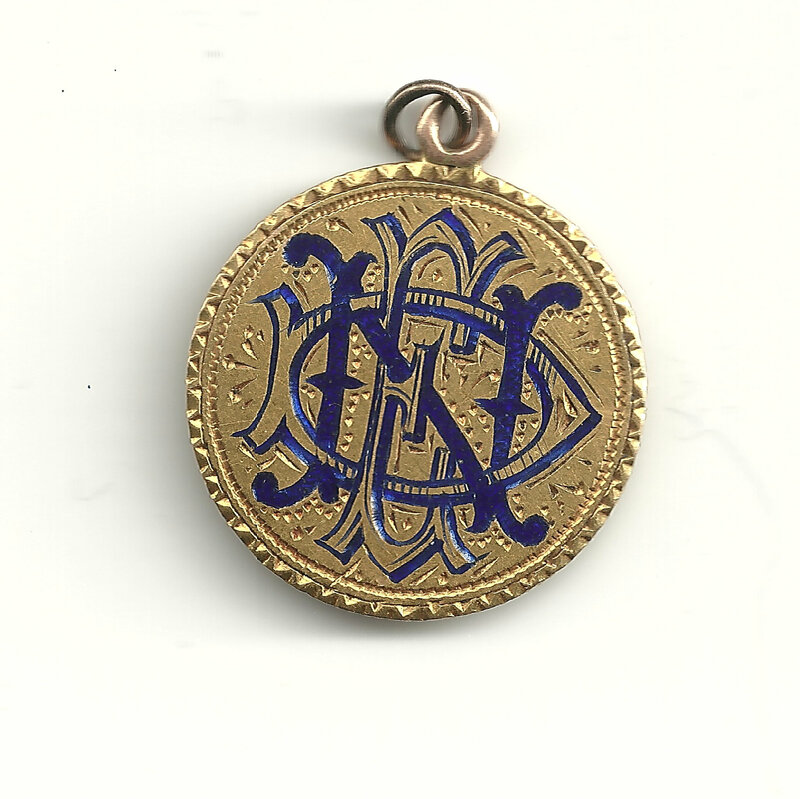 “NED” in blue enamel.